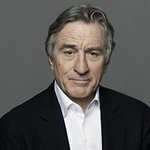 A group of actors has written to Robert De Niro's Nobu restaurant chain to ask them to stop serving endangered Bluefin Tuna. The plight of the bluefin tuna has been highlighted by the release of The End of the Line, a film narrated by Ted Danson that shows the effects of overfishing on the world’s oceans. “The possibility that the magnificent bluefin tuna, one of the fastest creatures on the planet, could be extinct in as little as four years is a tragedy,” wrote the stars in their letter. "Continuing to serve bluefin leaves Nobu vulnerable to public criticism and lagging behind Moshi Moshi, Gordon Ramsay, Jamie Oliver, Itsu and numerous others. We all love [Nobu, but bluefin tuna] must be completely removed from the menu due to its perilous position as an extremely endangered animal". A spokesperson for the restaurant said they are taking the issue "very seriously… The consumption of this fish is a cultural institution in Japan and there is still an enormous demand for this delicacy at all our restaurants. In the specific case of the menus at our London restaurants it should be noted that the statement that informs diners that the tuna served is Bluefin was included at the behest of Greenpeace, with whom we have continual dialogue. We are also currently looking at Australian farm-raised tuna as an alternative."